Glass or Contact Lenses confused?? Glasses or contact lenses, or both, it’s an age-old question. For some people, it’s an easy answer. Some people still fear the work it takes to put in contacts (touching your eyeballs, worrying about allergy eye issues) and take them back out. And they come with a lot of extra responsibilities, but you’ll read more about that soon. It is always a daunting task to decide whether glasses or contact lenses are right for you. Here choosing to wear eyeglasses or contact lenses mostly depend on your personal preferences and lifestyle you are living. In some areas, glasses may be the better option than contact lenses, and In other cases, contact lenses may be the better option than glasses. If you are having enough range, then you even opt for the better alternative that is Laser Eye Surgery where an electric procedure can eliminate the need of using both the contact lenses and glasses as well. Most of the people really can’t afford laser eye surgery, so people always try to choose between glasses and contact lenses. Here a person lifestyle, comfort, and convenience along with budget will hold the decision-making factor of people. People always try to think about these things before taking anything, whereas some don’t care. But practically saying people should consider these things while taking anything along with you should also know that both glasses and contact lenses are having its pro and cons regarding vision. Generally, Eyeglasses are often better at maintaining. These eyeglasses offer many benefits over the contact lenses. Glasses usually need very little cleaning and also fewer maintenance efforts you really don’t need to touch your eyes to wear your eyeglasses. This factor often reduces the risk of your eye infection. Considering all these points glasses are much cheaper than contact lenses in the long run because you can use quickly and you don’t need to replace your glasses quite often. 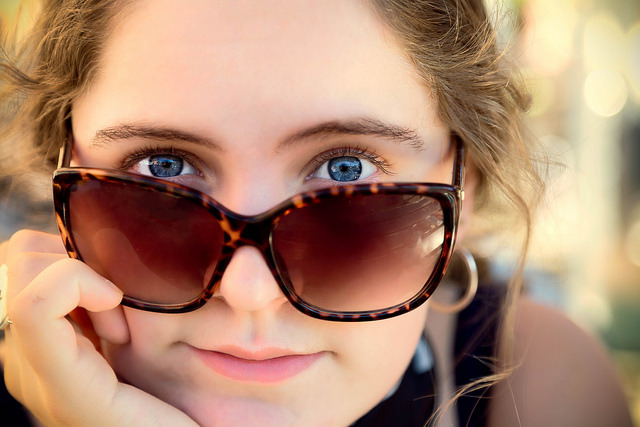 Here glasses will have an impact on your personality, and it also makes a great fashion statement in today’s trendy world. You can also find comments that are being said as contact lenses have many advantages over the glasses. People often who use contact lenses always say that contact lenses are better because their contact sits directly on your eye. Along with that peripheral vision is unobstructed if you use contact lens. There are even more points and statements which make people more confused. So to get you a better understanding. I have a breakdown that glasses and contact lens into the pros and cons. If you have a glance at the benefits and cons of glasses and content lenses, then you can get a clear view that which is best for you glasses or contact lens. So, when it comes to deciding between eyeglasses or contacts, you want to weigh the pros and cons between the two of them. Here are some of them. Glasses are simple to put on and take off, and they can add a little something to your wardrobe. If you’re somewhat of a fashionista you may want to own many different eyeglass frames. From plastic to wire frames, there are all sorts of options. Both types of frames come in various colors. You can get frames made from titanium that is flexible, so they are harder to break or bend out of shape. You can even get prescription sunglasses and safety glasses. Or you can get glasses with transition lenses that turn into sunglasses without the need to change your eyewear. Glasses can often break easily, especially if you are rough with them or you have young children that are rough with them. Even if you get the lenses with scratch coating they can still get scratched up. Plus, your prescription is only good for a year or two, and cheaper frames might not last to be fitted with new lenses. If your glasses get a little bent they can also throw off your focal center, so to speak. This is even more of a pain for people with multi-focal prescriptions. Contacts mean no worry about broken frames or scratched lenses. You don’t have to find an outfit that matches your frames or worry about how well your frames fit your face. Contact lenses impact your life a lot less when it comes to style, but they still take a good deal of work. Contacts can also save you some money when it comes to where you work since you can wear any old pair of safety glasses instead of getting prescription ones or be finding some that will fit over your glasses. There are plenty of cons that come with contact lenses. If you’re not careful when you put them in and take them out, they can get ripped or even get scratched. This will make them not fit right and will cause you vision problems when you’re trying to wear them. They can also dry out. If you forget to take them out at night they can cause eye irritation, which can also happen if you aren’t cleaning and storing them properly. Here in this pro and cons of glasses and contact lenses, I’ll speak deliberately about the pro and cons of the both the products and along with that I’ll make some more point from my personal experience as well to help you out. Now let’s start this pros and cons aspect with the glasses. Glasses has many benefit and advantages while you compare with the contact lenses. Wearing glasses always reduces the chance of touching eye, so you are likely to have an eye infection. Eyeglasses are generally much cheaper than the contact lenses over the long run in your life. You really don’t need to replace your eyeglasses on a regular basis until you break those eyeglasses. Eyeglasses frames are fashionable and can show your personality and style. Here in this modern age the look of your glasses can give you an elegant look and makes a bold statement. These glasses can be used by anyone regardless of ages anyone can use these glasses. It is straightforward and quick solution to get grip of your vision problems. Eyeglasses are extremely accurate in strong vision correction, and they are very easy to update when your eye doctor changes your prescription. Glasses offers some protection to your eyes from environmental factors such as dust, the wind, debris, etc. Now a day, people are often using nonprescription glasses simply because they look cool in those glasses even celebrities use these eyeglasses. Until now we have seen the pros of eyeglasses now let’s see the drawbacks that mean cons of glasses. The major downfall of eyeglasses is they don’t suit for all kind of people especially people who play sports or who always rushes somewhere. It won’t suit them because they might fall and get damaged frequently. Eyeglasses which sits about 12mm that is about a half inch distance from your eyes will always have a problem with peripheral vision. Most of the people who are using glasses say that focusing on any object has been a daunting task it is visible as blurry vision. When you first start wearing glasses or change prescription you might get blurry vision you should get used to it slowly. Most of the people don’t like their look in glasses, and they often feel bad and want to stay away from others. If you have strong prescription, then your glasses edges thickness so that your eyes appears unnaturally magnified. Glasses can be affected by some of the elements those are vision can be blurred or obstructed. Some of the eyeglasses may apply constant pressure on your nose. In some cases, pressure behind ears which frequently cause headaches and other discomforts in your zone. These are the pros and cons of the glasses. I have mentioned each, and every pro’s and con’s on this list now let’s see another aspect that is pros and cons of contact lenses. It’s quite a fact that, I have seen most of the statements which firmly say contact lenses has better pros over glasses. Actually, contact lenses can be directly applied to your eye so you can easily spend your time anywhere without fear. You can go to sports events, and you can run fearlessly because contact lens doesn’t need fear which is generally there in eye glasses. Let’s see the clear pros and cons of the contact lenses. These contact lenses cause great visual clarity than glasses normally do. Contact lenses really don’t get in your way when you are playing sports or doing other activities such as exercising, running and so on. Lens conform the curvature of your eye, and it provides wider field of view and it also causing less vision obstruction than the glasses. These lenses won’t clash with what you are wearing so it ‘d be good. Contact lenses are not affected by whether conditions. Even in fog also you can watch apparently without any trouble. You can change the contact lenses to color contact lenses if you want to see a different eye color. This is especially for people who wants to be fancy and also while acting dramas. Some rare Contact lenses can reshape your cornea while you sleep overnight, so it corrects myopia. So, that you can clearly see without a need of glasses or contact. As there is no restrictive frame around your eye vision, you will feel as normal people which out any silly looks with glasses. No one knows about the contact lenses until you tell them because there are no intrusive frame which stuck on your face. Let’s see the cons of the contact lenses. People might have trouble in applying a contact lens to their eye. You can were it properly only when you have practice and know the proper technique. The contact lens will reduce the amount of oxygen reaching to your eye, and it can cause dry eye syndrome. If you are a computer worker who often does work on the computer, then you should avoid contact lenses because it can cause your computer vision syndrome. These contact lenses require proper lens care, and you should be cleaning them each and every day to avoid severe eye infections. You should commit to taking care of contact lenses, and also you have to replace them by considering daily disposables. Never sleep with contact lens it can dry your eyes and make it red and irritate when you wake up early in the morning. These are the pros and cons of the contact lenses and glasses. Now by having a glance at the pro and cons of the contact lenses and eyeglasses. You should get a clear view of what to take and what is best for you. Here you should decide according to your lifestyle and personal preferences. It is vital, so I am repeating these words again. This is all about the glasses or contact lenses. Now it’s time for you to decide what’s best for you and what’s your personal feeling about them. I hope this post helped you if you have anything to say then you can let me know in comments section. Iv’e used both. Specs for 17 years, contact lenses for about half of that. I feel contact lenses have its own set of advantages, as you have mentioned. But I prefer putting them on only on certain occasions, like when I am playing some outdoor sports, or when I am going to an event where I need to dress well and appear presentable. I feel they just require too much maintenance and effort for everyday use, in which case, spectacles are way better. Just put them on when you wake up and keep it aside when you go to sleep; no need to wash your hands, use the lens solution and wear them like you are handling a new born baby. Thanks for the valuable tips Animesh.